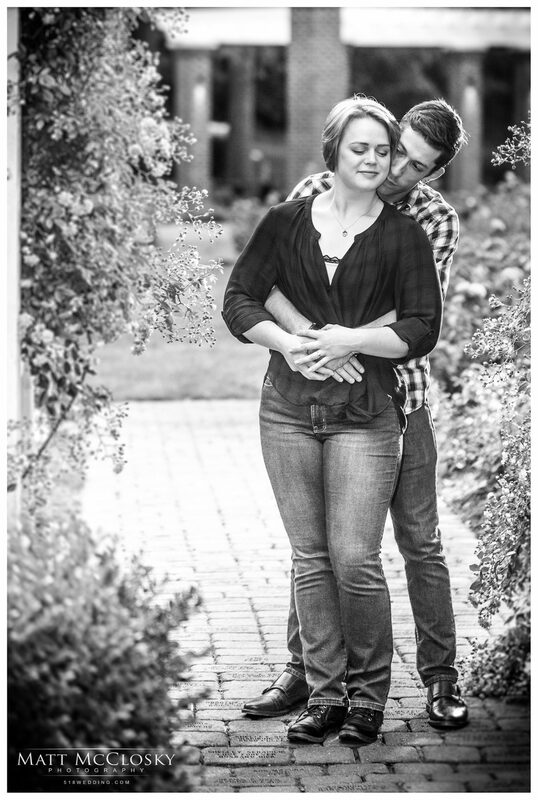 I have an new engagement session sneak peek for you! Set to be married September 2018, bride and groom to be Paige and Kevin & their pup met me in Schenectady’s Central Park Rose Garden for their engagement photo session. The weather was not favorable for photography. The sky remained an ominous dark grey overcast with a persistent drizzle. Despite the threat of thunderstorms, we still managed to capture some great photos between the raindrops. You guys were a lot of fun and I look forward to photographing your fall wedding! Here is some great info on all of the work that goes into editing wedding and engagement photos. Thank you for choosing Matt McClosky Photography.